Please be aware that certain products may be prohibited in your country. Please confirm that your country is covered by EMS. Send us your address and details of the products from the form below. We reply the payment of goods with no tax, shipping charge and delivery date to you. International shipping service is exempt from the free shipping. 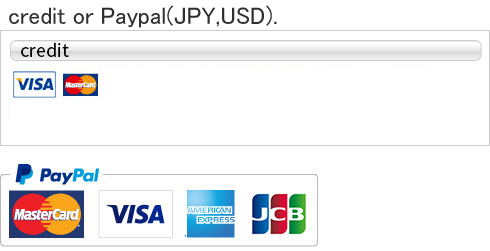 If it is ok, tell us payment method. We send you the invoice. After we confirm your payment, we ship items by EMS and mail you the tracking number. The amount of customs duties are depending your country. Please burden customs duties at your expense.